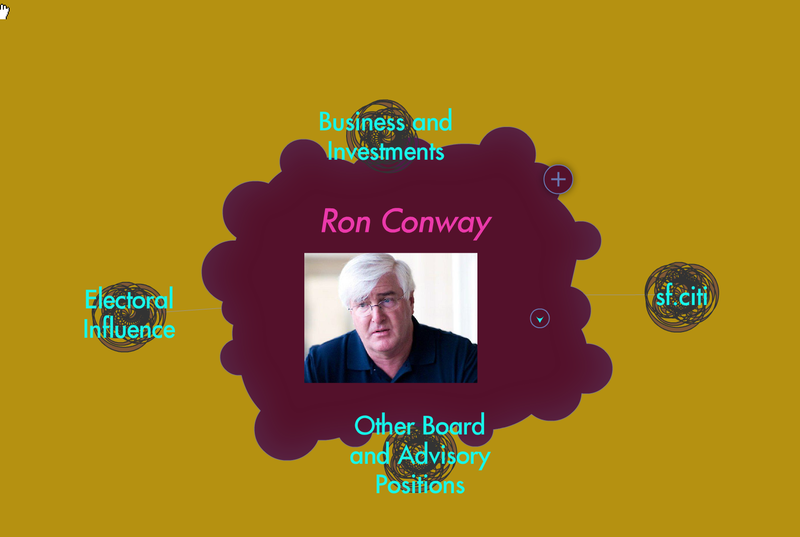 The anti-eviction mapping project has posted a new map – this one on Ron Conway and his influence on San Francisco. What a bunch of idiots. Instead of trying to work with the leading tech political advocacy group they are isolating themselves from any potential influence. This will make it even easier for pro development and landlords like me to unify with the tech force. Easy Peasy. Thanks guys! Yeah, cause pro-developers and landlords are not already unified with tech force… Shut up your ignorance! Would you have a home in SF without developers and landlords? No. Would the city have a vibrant tax base without tech? No. Sounds to me you’d be happier in Detroit. Much less success and wealth there. Wouldn’t that be better? YIMBY for Mayor invites Ron Conway to invest in “good works” campaigning for the SF 2015 Mayor’s race. Instead of pouring millions of dollars into political ads and door hangers that pollute our neighborhoods and minds, YIMBY for Mayor will use the majority of its campaign funds to do good works (such as registering new voters, back yard soil testing, and stipends for underemployed neighbors in support of their neighbor(hood)s.
YIMBY for Mayor: We’re looking for a few (thousand) good YIMBYs. Check out our iterative platform and join the movement at http://www.facebook.com/pages/YIMBY-for-Mayor/733230096760667. And it will make it easier for renters like me to identify and fight the forces of evil. Yes, anyone who is more successful than you must be evil, and you must fight them. That’s the American dream, right?